Heroic achievement in the superior performance of his duties while serving as Mobile Assault Platoon Commander, Company I, 3d Battalion, 3d Marines, Regimental Combat Team-7, I Marine Expeditionary Force Forward, from March to September 2006, in support of Operation IRAQI FREEDOM. On 11 August 2006, First Lieutenant Bechtold’s mounted section came under enemy machine gun and rocket-propelled grenade fire. He calmly directed accurate suppressive fires at the enemy positions while coordinating with the dismounted element in a cordon and sweep of the surrounding area. While screening forward of the dismounts, his section located an improvised explosive device and a vehicle borne improvised explosive device. First Lieutenant Bechtold ensured all friendly units in the area cleared the casualty radius of these grave threats and quickly coordinated with the explosive ordnance disposal team to destroy them in place. His composure under enemy fire prevented any of his Marines from sustaining injuries. First Lieutenant Bechtold’s initiative, perseverance, and total dedication to duty reflected credit upon him and were in keeping with the highest traditions of the Marine Corps and the United States Naval Service. 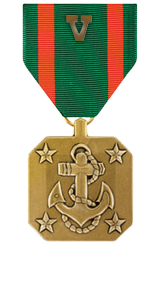 For heroic achievement in connection with combat operations against the enemy while serving as Platoon Commander, Company I, 3d Battalion, 3d Marines, Combined Joint Task Force-76 from November 2004 to June 2005. During this period, Lieutenant Bechtold’s tireless efforts assisted in the development of a small advance camp into a forward operating base. Aside from his demanding duties planning and executing combat operations, he assumed the duties and responsibilities as the executive officer of Camp Blessing. During the period of 23-25 March 2005, while operating from a patrol base in the Korangal Valley, 2d Platoon came under heavy indirect and direct fire from several enemy positions. Remaining calm, he repeatedly exposed himself to enemy fire in order to make certain his Marines were emplaced properly and defending their position. He expertly called for fire with 120mm mortars and directed a counter attack on the enemy positions. His actions inspired his marines and resulted in the defeat of the enemy force. Lieutenant Bechtold’s courageous actions, initiative, and complete dedication to duty reflected great credit upon himself and were in keeping with the highest traditions of the Marine Corps and the United States Naval Service.